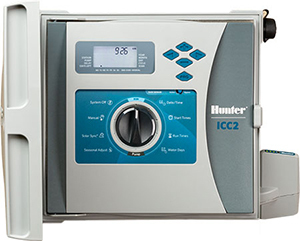 Hunter Industries introduced Centralus, a new irrigation management platform with web-based control for new and existing ICC2 dial-based controllers. Centralus offers secure, comprehensive cloud-based control and monitoring features for ICC2 controllers. The connectivity allows technicians to view a controller’s status, change settings, enable automatic weather adjustments, view forecasts, save water and receive instant notifications of important system alarms. To upgrade to Centralus control, choose one of two connection options depending on site requirements and personal preference: The wireless Wifikit or the hard-wired Ethernet Lankit. Both options include free access to the Centralus beta web central control platform. Users then log in to the platform through their free Hunter user account. The mobile-friendly platform is currently available in beta phase.